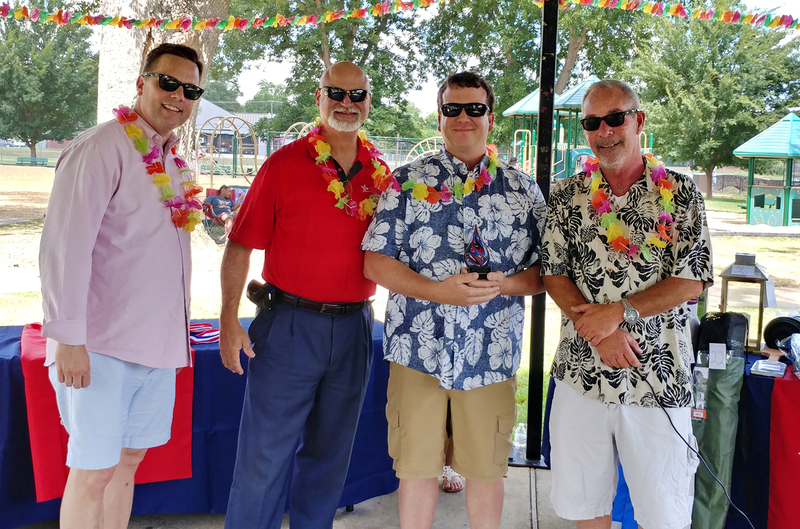 (MARSHALL) – Employees at Texas State Technical College in Marshall celebrated Employee Appreciation Day on June 15, a day that included fun for employees and awards for employees of the year. 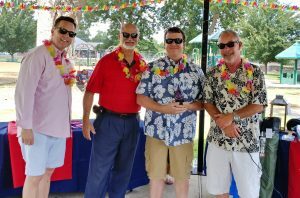 Josh Stampley, Computer-Aided Drafting & Design instructor, was chosen as faculty member of the year for the Marshall campus. Stampley, a Marshall resident and graduate of Kilgore College, began working at TSTC in September 2016 after working in the industry for nearly 20 years. Stampley said he was happy to receive the award. He is glad his co-workers notice his enjoyment for the job. He takes pride in knowing he is getting his students ready for work. Knowing that his former students enjoy their jobs keeps him motivated. This entry was posted in Marshall on June 21, 2018 by Debra Gonzalez.